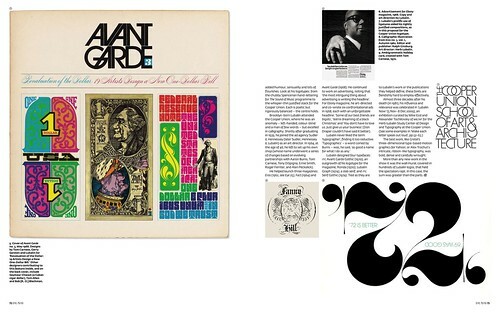 You can see the magazine’s cover (below) in ‘Up close and tight’, the Eye 75 feature about Avant-Garde’s legendary art director Herb Lubalin. 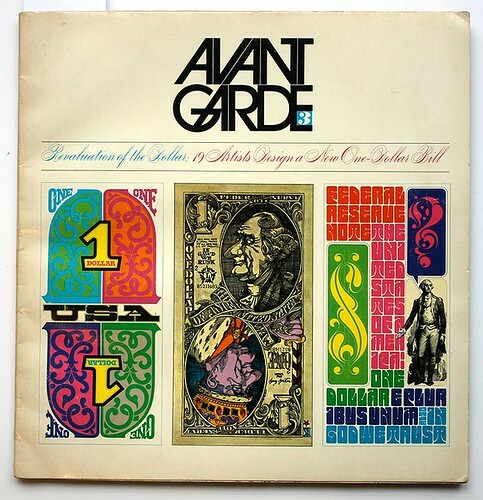 Avant-Garde, published and edited by Ralph Ginzburg and art directed by Lubalin, commissioned friends and contemporaries such as Seymour Chwast, Bob (R. O.) 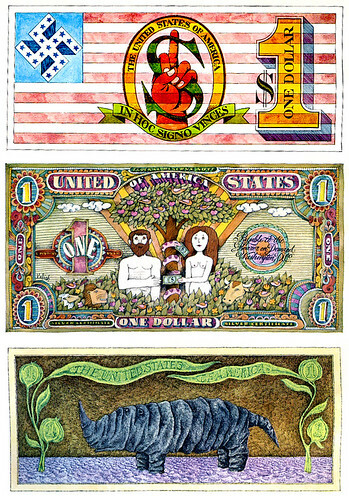 Blechman and Edward Gorey to come up with nineteen fanciful currency designs, colourful blasts of exuberant and irreverent 1960s illustration, with little regard for currency design guidelines or usability. 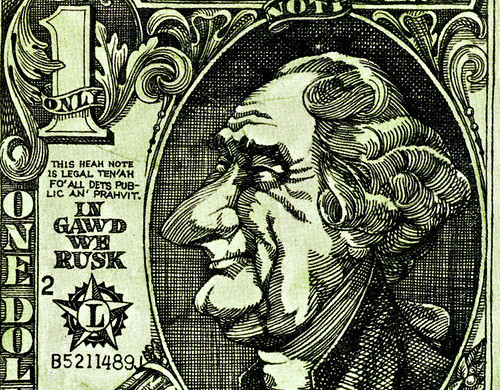 As the short introduction says, ‘All in all, these dollars won’t pay the rent, but then they won’t buy an M-16 riflt, either. 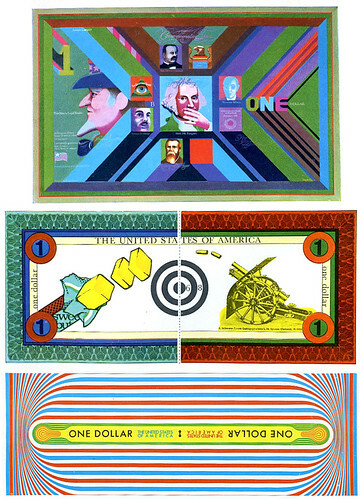 And in these days, that’s something.’ The bills make interesting viewing in the context of Richard Smith’s Dollar ReDe$ign Project (also on Flickr). Here follow a selection of designs from Avant-Garde no. 3. 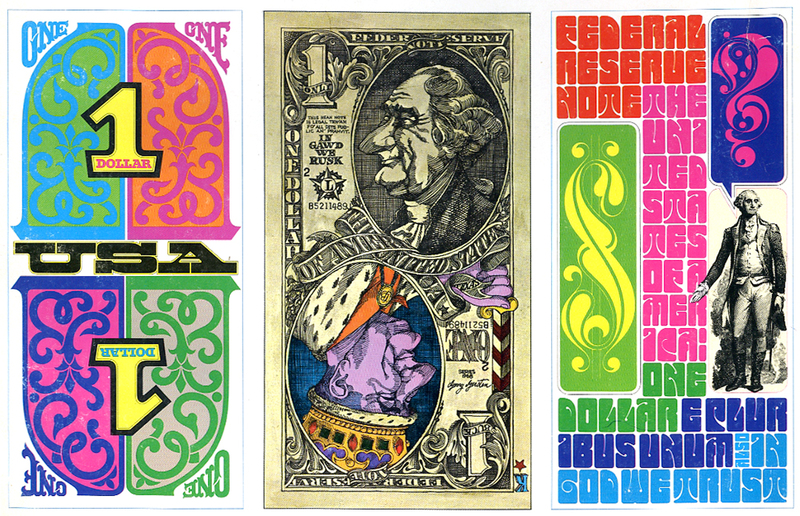 Top: (l to r) designs by Tom Carnese; Gerry Gersten; and Lubalin himself. Below: Gersten detail. Above: (top to bottom) Ernie Smith; Etienne Delessert; Bob Blechman. Above: (top to bottom) John Alcorn, (1935-92); Lionel Kalish; Edward Gorey (1925-2000). Above: (top to bottom): 1. Roger Hane, 1939-74 (Flickr group); François Dallegret, website; Isadore Seltzer (some covers). 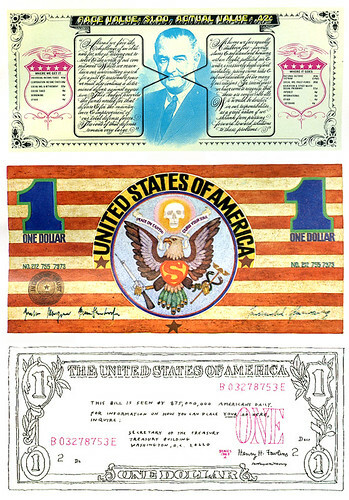 Below: spreads from Eye 75. 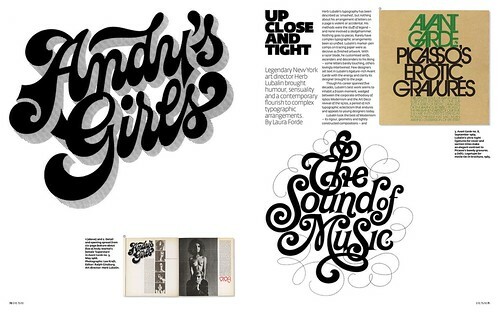 Eye 75 is a typography special issue, featuring illustrative type and lettering, calligraphy, type on the Web, a profile of Anthony Burrill, Mark Thomson’s Reputations interview with Fedra designer Peter Biľak and Laura Forde’s article about the legacy of Herb Lubalin (above). It’s available from all good design bookshops and at the online Eye shop, where you can order subscriptions, single issues and classic collections of themed back issues.